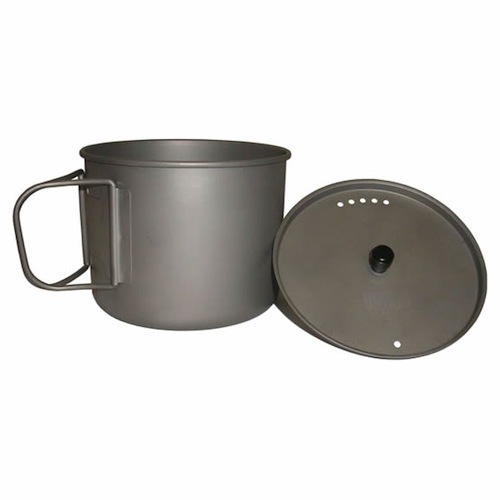 Our Vargo 1.3 Liter Titanium Pot is our largest pot, yet it weighs in just north of 5 oz. making it almost half the weight of other similar sized pots. And with built-in, coated handles and the Vargo original strainer lid, it’s twice as functional. 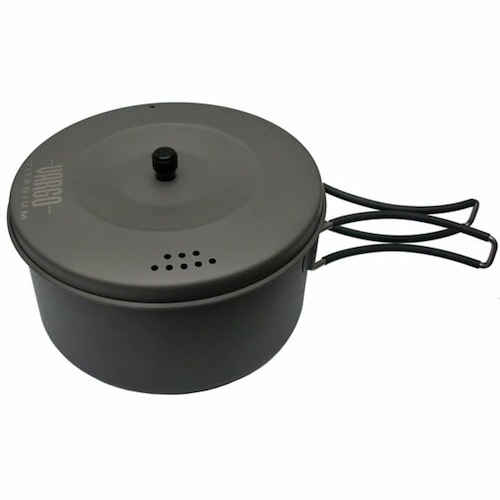 Features: Large size for full functional cooking and storage with better heat distribution. Coated handle to prevent burns and provide excellent hold for cooking and eating. International customers (including Canada) please do not use this site to order! Please click here for instructions. 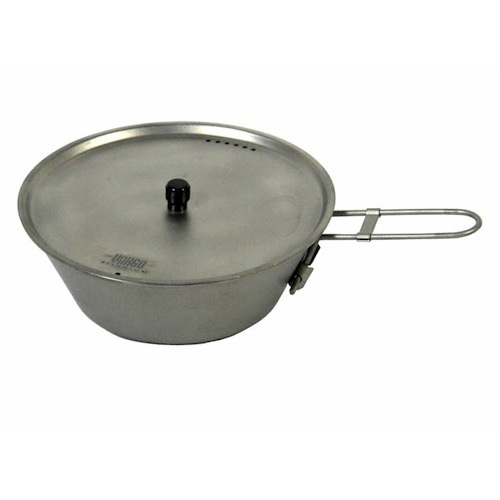 Our Vargo 1.3 Liter Titanium Pot is our largest pot, yet it weighs in just north of 5 oz. making it almost half the weight of other similar sized pots. And with built-in, coated handles and the Vargo original strainer lid, it’s twice as functional. Features: Large size for full functional cooking and storage with better heat distribution. 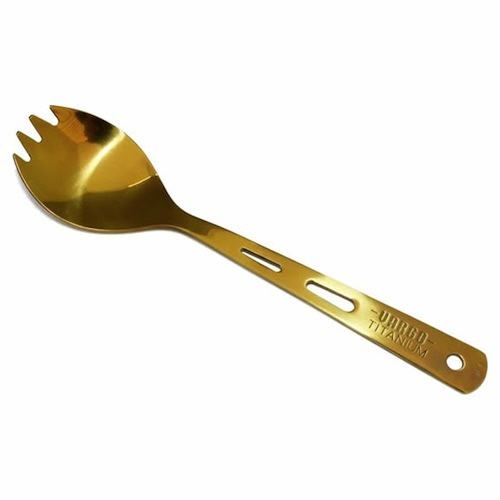 Coated handle to prevent burns and provide excellent hold for cooking and eating. Tight fitting strainer lid with an easy-to-grip heat-resistant knob to prevents burns. Indented bottom for increased pot stability. Nylon mesh storage bag included. Product Note: Vargo Outdoors Titanium Cookware: Vargo Outdoors makes high quality, lightweight titanium cookware and accessories. 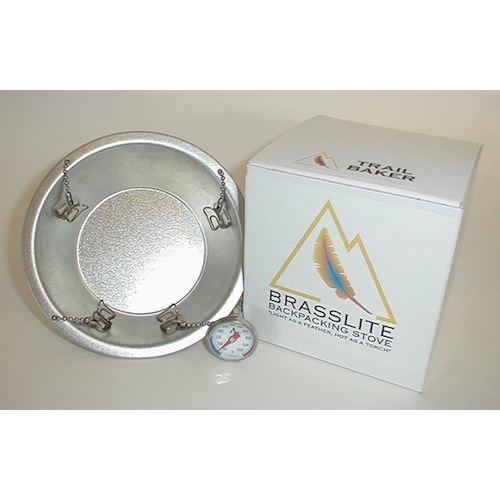 Brasslite sells a few selected pots from the Vargo line that are compatible with Brasslite alcohol stoves. With its small base and sloping sides, the 750 ml Sierra Cup works especially well with the Turbo I-D. The 900 ml and 1.3 Liter pots function well with the Turbo II-D, and the 1.3Liter pot is perfectly compatible with the Brasslite Trailbaker. Sustainable Website Design - Custom WordPress Expertise - Serving Maine and the U.S.